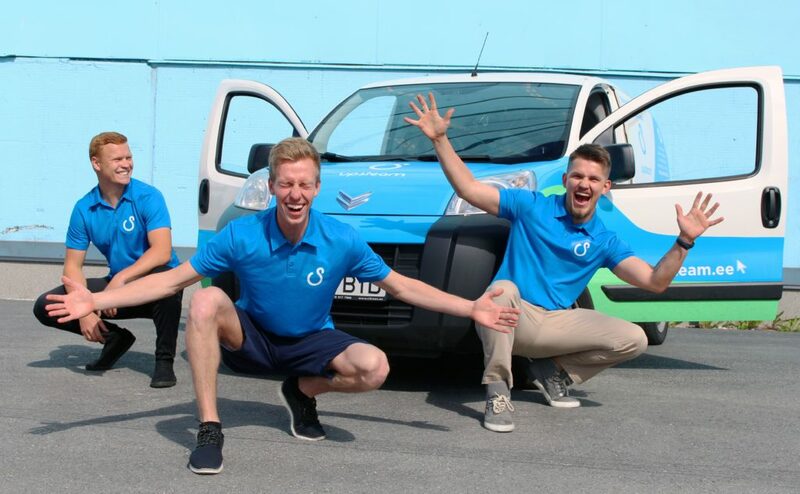 Martin Kristerson, one of the cofounders of UpSteam, spoke with CoFounder about the startup’s idea of building a global mobile car-wash franchise. Washing cars at peoples’ doorsteps isn’t a totally new thing but we are the very first ones to start fully automizing the whole UX process of cleaning cars. To drive a clean car every day our customers don’t have to see or contact anyone. Also, most mobile car washes out there use pressure washers to clean cars but UpSteam has a huge edge in using steam-technology in car washing. Since it uses 30-50x less water we can wash cars in an eco-friendly for the whole day without having to refill. Plus it gives good karma points to our customers. We used to sell books door-to-door in the US with all the founders of UpSteam and it was my very first summer when I was in South Carolina when I was just about to knock on a door and saw a truck pulling next to a house and started washing a car on the spot. They did it with a simple pressure washer and a bucket but my first thought was: “Why aren’t all cars washed like that?”. I was studying International Business and I started concentrating all of my school-work on mobile car washing. I was astonished at how hard it was to find any information on mobile car washing. Since Europe has different environmental standards than US then I stumbled on steam. Finally when I had done a thorough business-plan, multiple customer surveys and a very first validation of our service I felt super-confident about mobile car wash. So, since I knew that book-sales people have hard-core working ethics and a go-getter attitude I put together a team to start filling that dream of changing the car-wash industry. How did you find your unique edge? We clean cars so you wouldn’t have to. Just create your personal wash-schedule and pay monthly to enjoy driving a clean car every day. It’s as simple as that. From day one we commited to staying eco-friendly all the way but that wasn’t the biggest pain for our customers. We have always kept a close contact with all of our customers and worked on figuring out what are the jobs we fill when doing a mobile car wash. We are great at sales and a good salesman spends the time to understand the customers’ problem. We’ve done countless surveys via forms, meetings, calls etc and only thanks to that we found our USP-s for our franchisees, B2C and B2B customers. You just have to be insanely open-minded to all the criticism, ideas and perspectives from people of all sorts. Is your car-wash franchise basically competing against window-cleaning offers at red lights? Window-cleaning at red light and self-service/coin-washes will always be there. They are very good for a quick and light cleaning. UpSteam quality is comparable only with a hand-wash where you drive out with a completely clean and dry car inside and out but without the driving, booking and waiting. Franchising is a great challenge but it has it’s benefits. 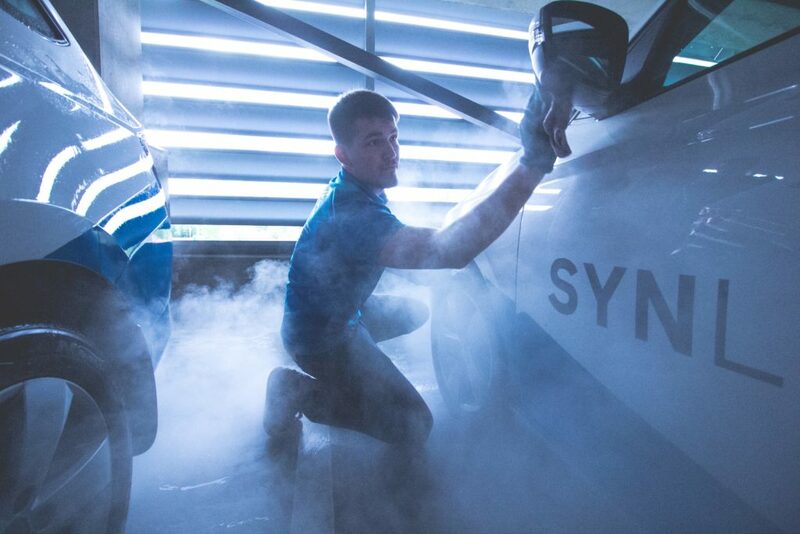 Scaling the business reduces fixed costs and can lead to a massive competitive advantage and we plan on being the first in Europe to bring this new and innovative car wash alternative to everyone. Building a global franchise sounds rather ambitious – how do you do that? We have already 10X’d the car wash service but now it’s time to shake the car wash market by 10X’ing the company itself. There have been many studies saying that more than 60% of people want to be their own boss or be an entrepreneur. It has also been my dream since I was in high-school. Most people don’t lack the knowledge but they lack the courage to do so since they know its risky to start something new. When we started developing the UpSteam franchise then we quickly understood how much more there is to it. We can save millions of hours of time to people, we can save millions of litres of pure drinking water and also we can help people fulfill their dream of being their own boss. With UpSteam you can have your very own independent turn-key business where you don’t have to worry about the small things that take a lot of time and effort to build. To all people who want to build a franchise then one thing you need to know is that it takes a lot of time to learn how to manage and raise your child but it takes atleast twice as long to learn to teach someone else to do the same thing. Although developing and building a franchise is a great opportunity to learn to deeply understand your business and why-do-you-do-what-you-do’s (WDYDWYD’s). How far are you on the road? We are proud to say that we are beginners doing this for the first time in our lives. We’ve been building this startup for almost one and a half years now of which we’ve been 8 months in an intensive national “Shark Tank” incubator. We are confident that we wouldn’t be so far without our advisors and helpers who always push our belief-levels, educate us and share their experiences. Nonetheless, a typical franchise manual is 300-500 pages of detailed information that should even teach your mom how to run your business successfully. Currently, we are piloting two franchises and developing a platform that would automate more than 100 hours of monthly work for each franchisee. We are engineering a unique car wash technology that would be easily transportable to all corners of the world without having to be stationary on a van. Also, we’re preparing a first seed-investment round and doing market-research for foreign markets. There’s a long road ahead of us but good things happen to people who work. What is next for UpSteam? You never know whats ahead of you but with a great team and good plan you can do great things. Our vision is to be the first globally franchised mobile car detailing company that delivers excellent service to our customers and franchisees. After getting positive results from our pilot-franchisees we plan on setting up our very first complete franchise by the middle of 2019.